Often referred to as the jewel of the Great Lakes, Mackinac Island has long been a summer vacation getaway for Michiganders and those in the know. Located in Lake Huron, between Michigan’s Upper and Lower peninsula’s, this resort island seems to be the perfect Midwestern escape. 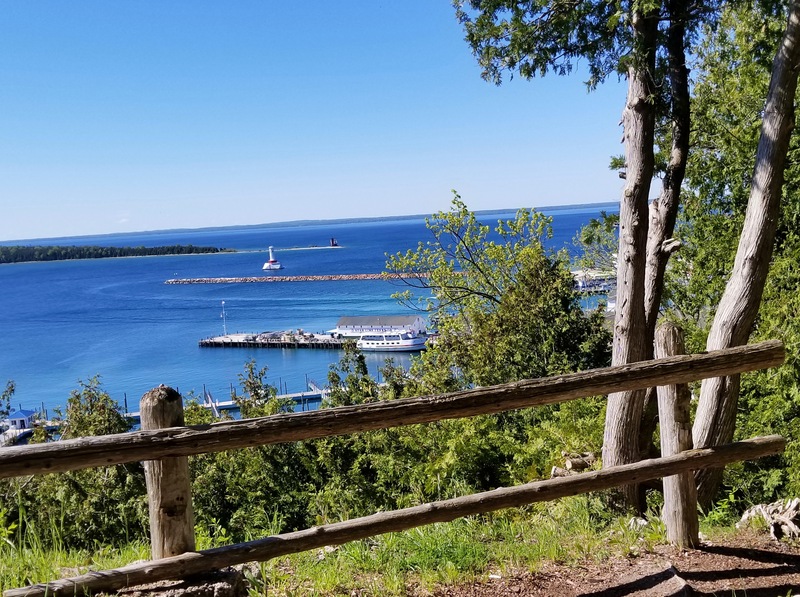 Whether a fan of history, nature enthusiast, a romantic at heart or looking for a family friendly getaway, Mackinac Island will delight your senses and lure you to visit over and over again. 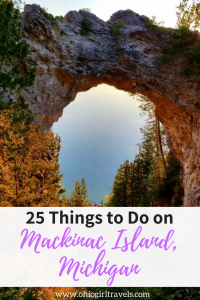 Here are the best things to do on Mackinac Island, Michigan. Sitting high upon a bluff, Fort Mackinac was founded in 1780. Serving as a military outpost (for British then American soldiers) and a home for soldiers and their families, the fortress now is headquarters for Mackinac National Park. As Michigan’s oldest public building, the fort welcomes visitors to explore fourteen restored buildings, tour the fort with a costumed guide, watch demonstrations and marvel the views from atop the fortress bluff. 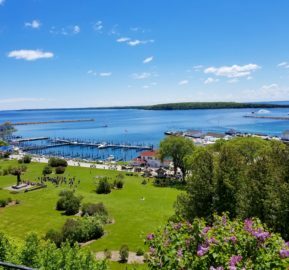 *For lunch with a view, dine at Fort Mackinac’s Tea Room! 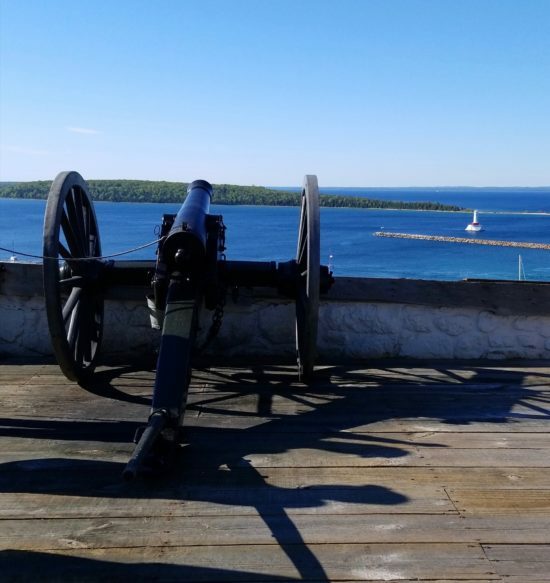 For an unforgettable experience, reserve your spot to fire the first cannon volley of the day at Fort Mackinac. 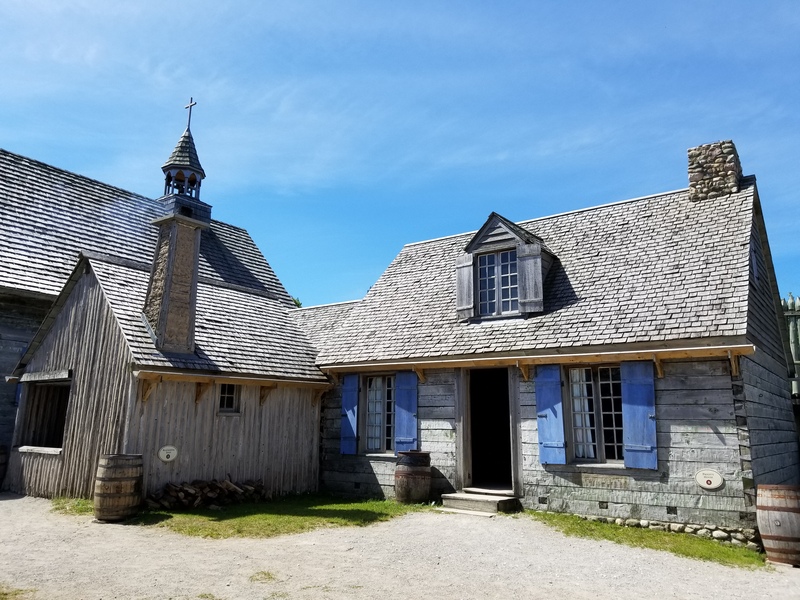 Reservations are required and the cost is $50 (which includes admission to the fort and a souvenir kepi). 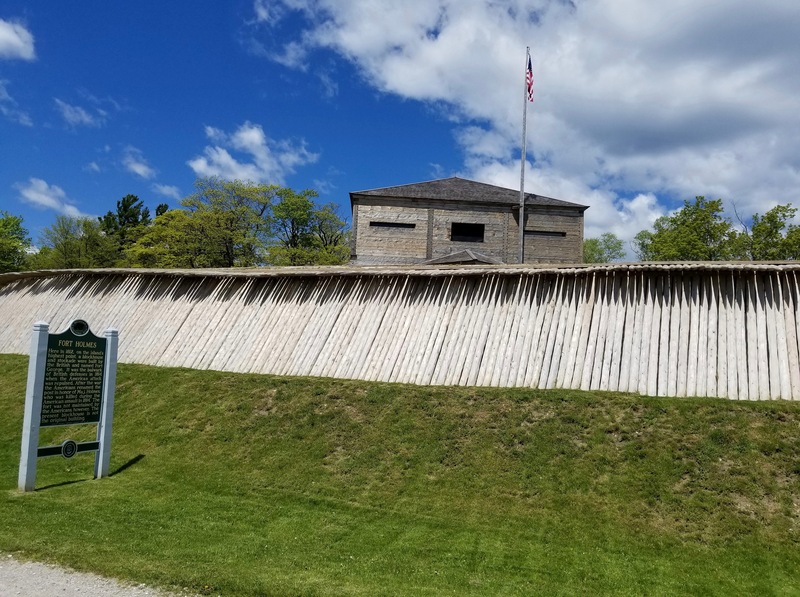 The reconstructed Fort Holmes sits at the highest point on Mackinac Island. The small, wood and earthen fort was constructed in 1814 by British soldiers during the War of 1812. Visiting the fort is free, but it can be quite the haul from downtown; biking or taking a carriage ride is recommended. 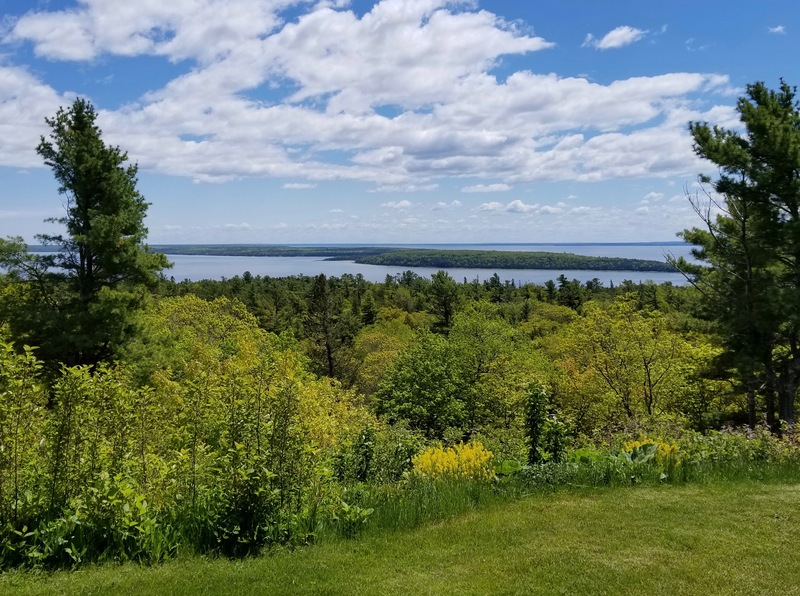 The views are absolutely stunning, definitely making the trip to the fort worthwhile! 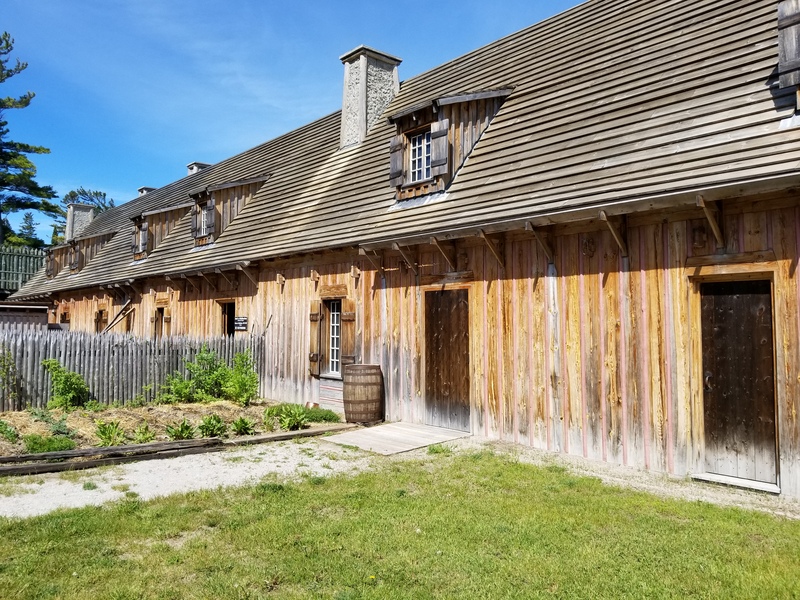 Constructed by French soldiers in 1715, Colonial Michilimackinac served as a fort and fur trading village. Reconstructed based on historic maps, this site has more than 50 years of archeological excavations that continue today. 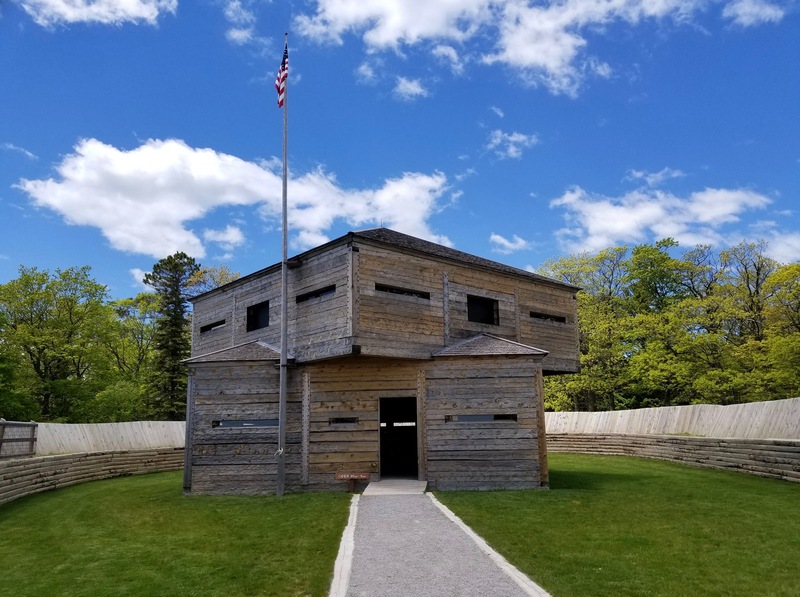 Experience cannon and musket firings, tour the historic fort, special exhibits and visit with costumed guides. *Colonial Michilimackinac is located on the mainland in Mackinaw City. Located in Marquette Park along Main Street, The Richard and Jane Manoogian Mackinac Art Museum allows visitors to experience fine and decorative arts inspired by Mackinac Island. 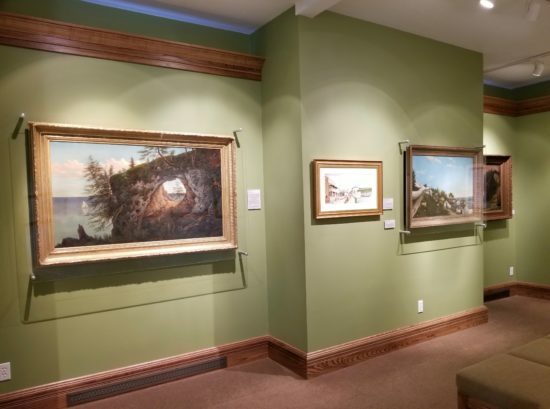 View a collection of Native American artifacts, decorative arts and various mediums of artwork, including historic maps, canvas, photography and etchings. 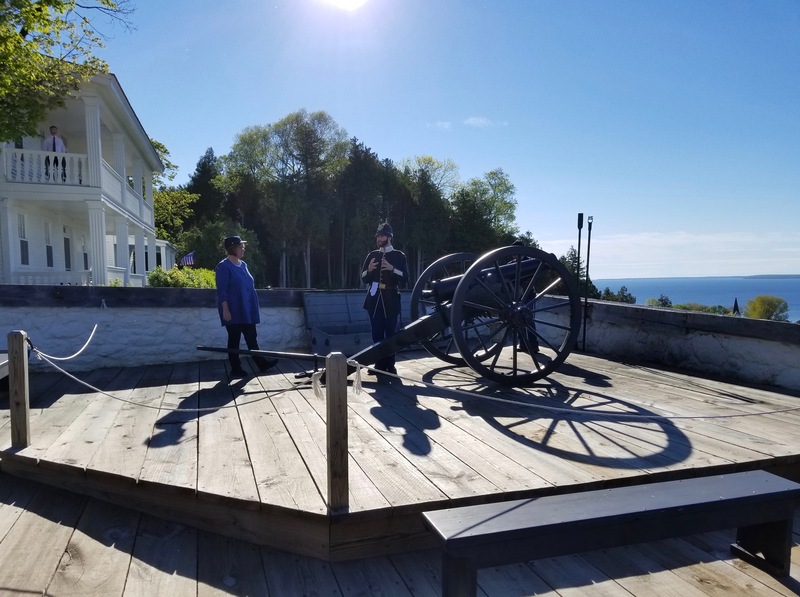 *Admission is included with purchase of Fort Mackinac admission ticket. The only way to get to the Mackinac Island is by boat. 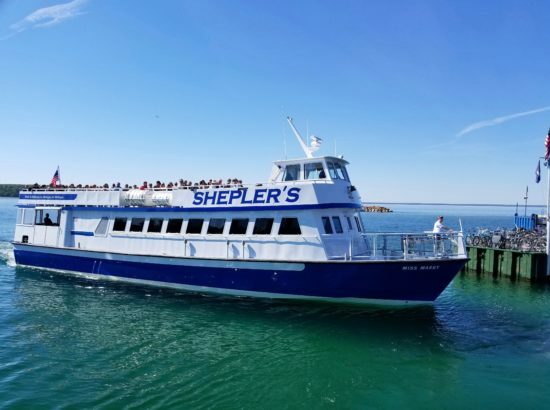 Shepler’s Ferry is located in Mackinaw City and St. Ignace. Once arriving at Shepler’s Ferry dock, staff will direct you to parking and assist with luggage. Settle into your seat aboard the ferry, whether on the upper open-air deck or the lower enclosed deck and enjoy the 20-minute ride over to the island. 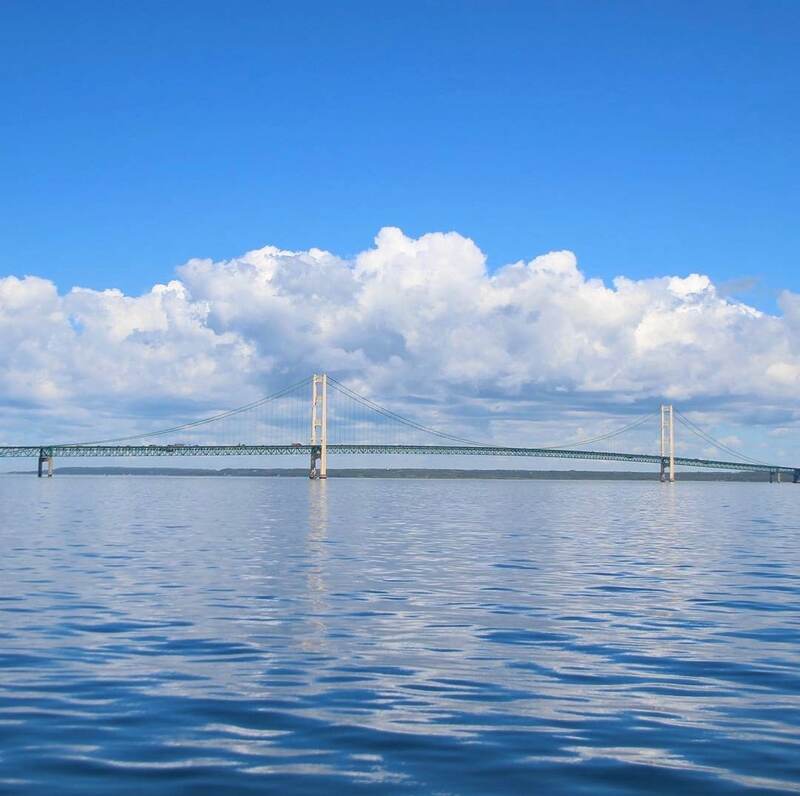 For the best views of Mackinac Bridge, sit on the upper deck! 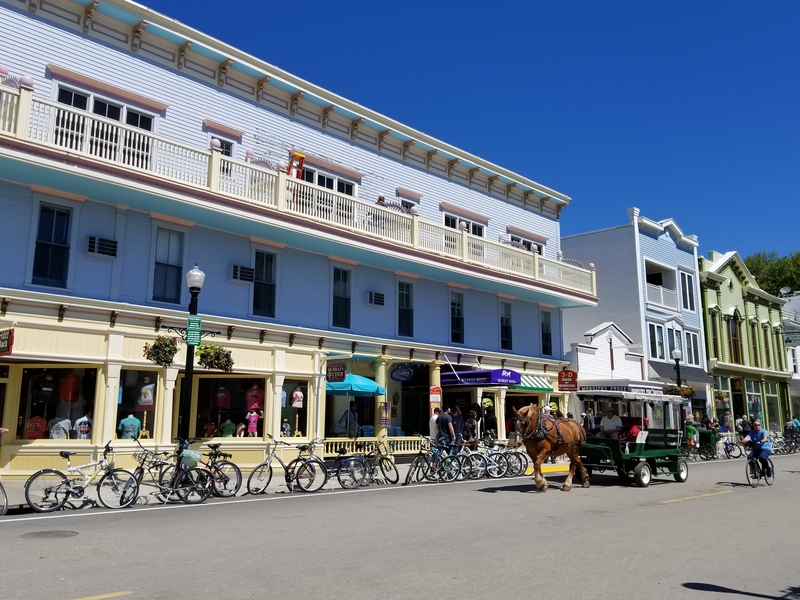 The thriving heart of Mackinac Island can be found along Main Street and surrounding Market Street and Fort Street. 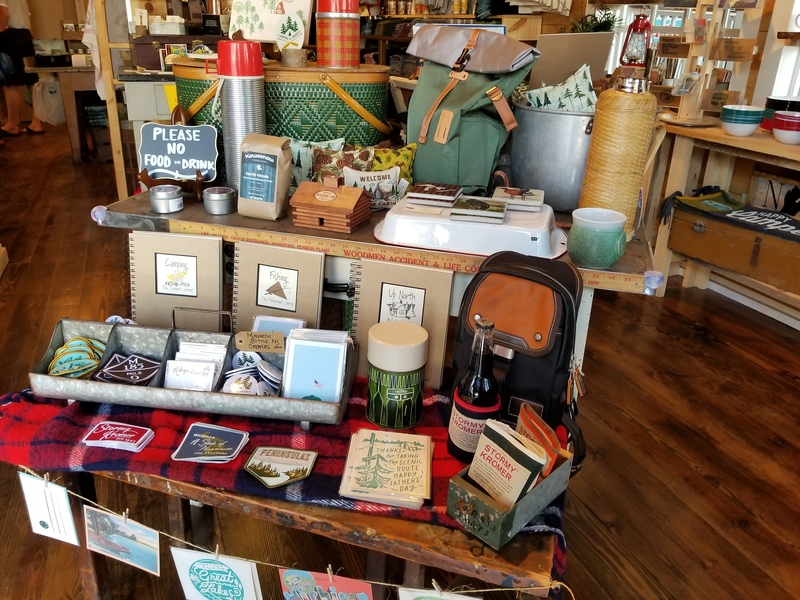 Take a leisurely stroll to visit local shops, grab a bite to eat at local restaurants and bars, watch fudge being made, stop by the visitor’s center and visit Marquette Park. 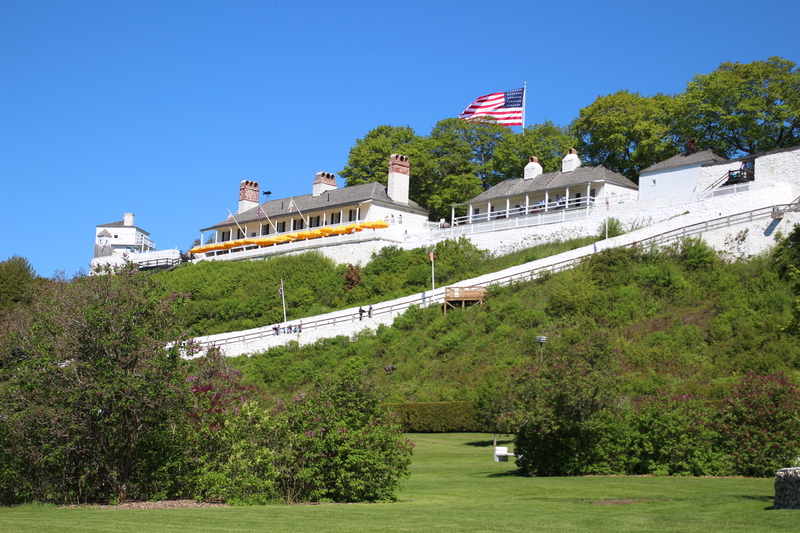 Once at the park, look up to see Fort Mackinac towering above. 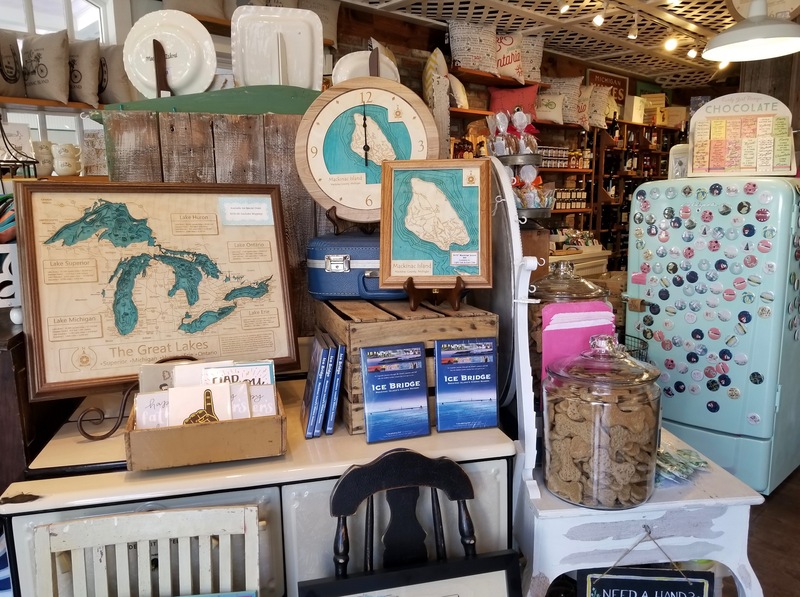 With numerous art galleries, boutiques, fudge shops, home décor, souvenir and specialty shops, Downtown Mackinac Island is a shopper’s paradise! One of the sweetest souvenirs of Mackinac Island is its world-famous fudge. Walking down Main Street, the smell of the creamy fudge wafts from the fudge shops, beckoning visitors to taste the sweet goodness! While sampling a variety of flavors, watch fudge makers hard at work. 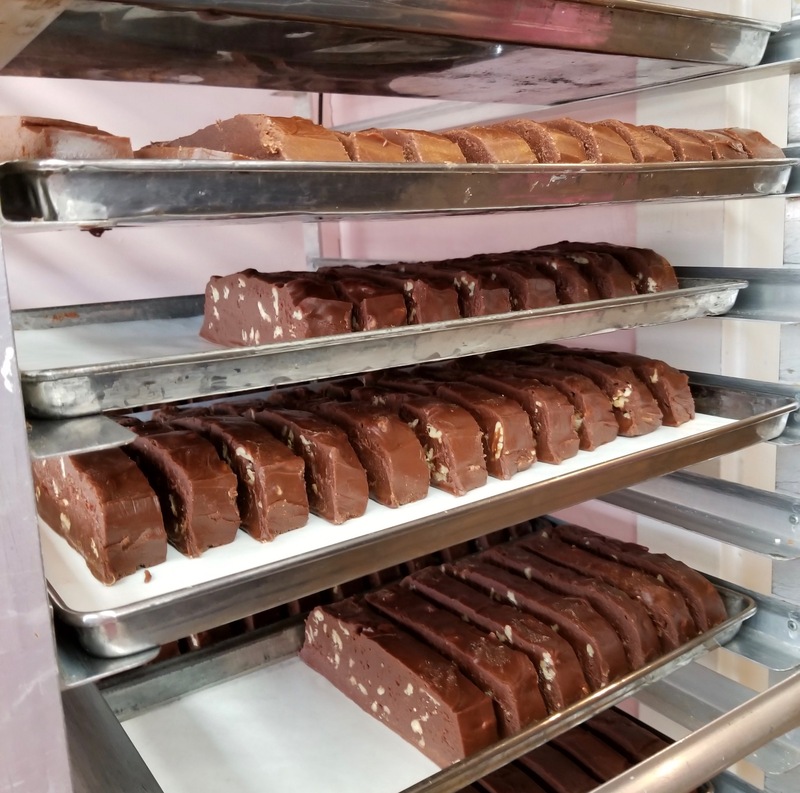 We were treated to a fudge making lesson and behind the scenes tour at Ryba’s Fudge Shop. 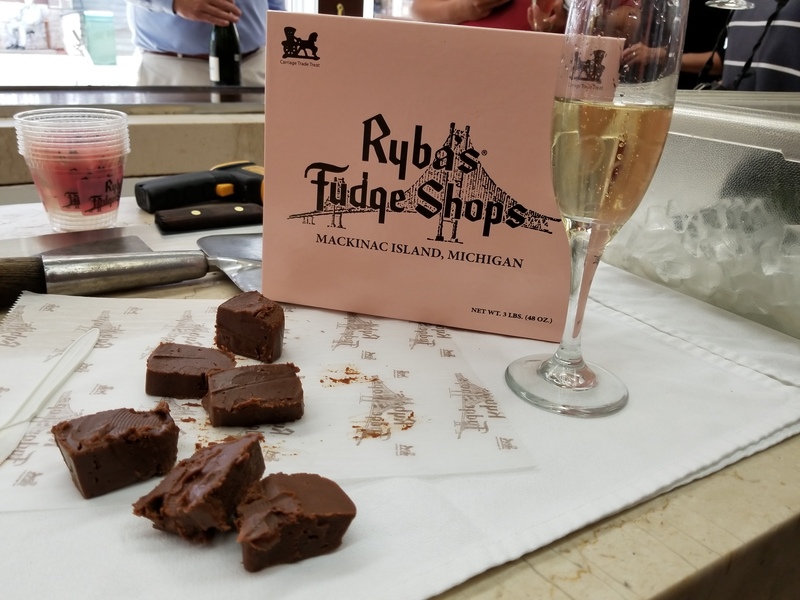 Family owned and operated, Ryba’s makes their fudge by hand on marble slabs to create smoother and creamier fudge. It was delicious! 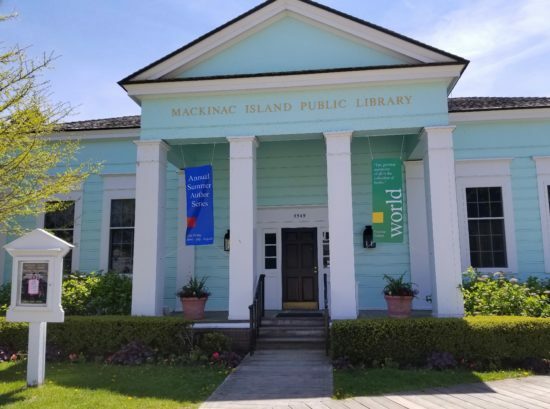 As a self-proclaimed bibliophile, I fell in love with the island’s petite public library. With lovely shades of blue and turquoise (similar to the surrounding lake water), a specialized rare book room, several reading nooks and a small back porch to enjoy reading with the sounds of the waves crashing upon the shore, the Mackinac Island Public Library is a welcomed oasis! 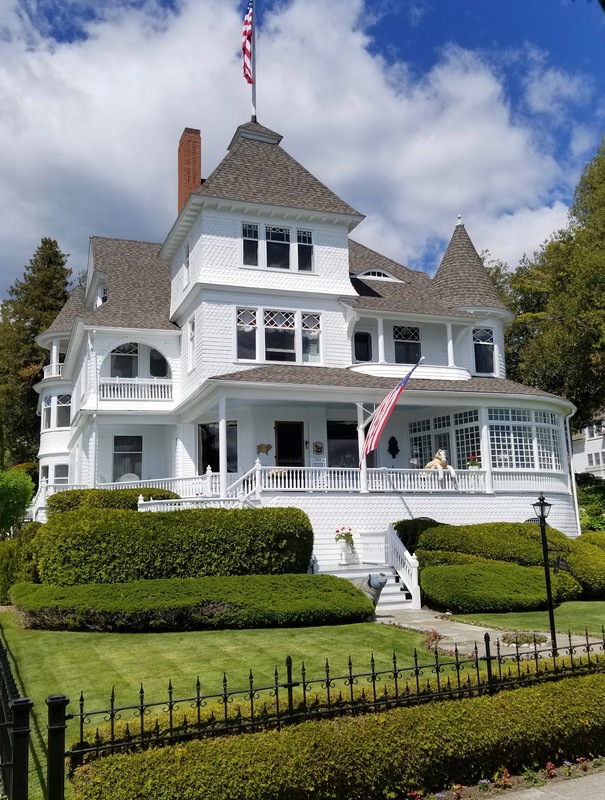 Whether riding a bicycle, taking a leisurely stroll or riding a horse-drawn carriage around the island, take some time to appreciate the beautifully restored historic homes. 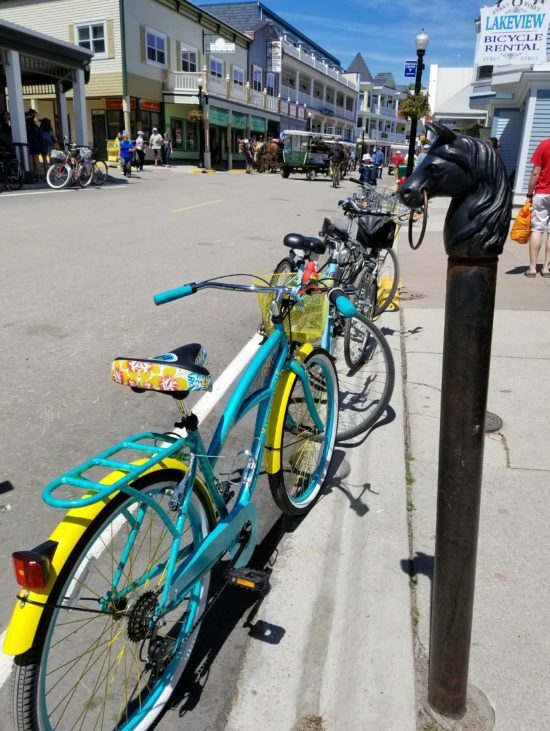 As no cars are allowed on the island, the options to get around the island are walking, biking or horse-drawn carriage. Whether renting or bringing your own, riding a bicycle is a great way to see the island and get your daily exercise! As one of the few places in the United States where cars never replaced horse and carriage, taking a ride on a horse-drawn carriage is a great way to explore the island. Whether taking a public horse-drawn taxi, carriage tour or a private buggy livery tour, you’ll experience authentic Mackinac Island transportation. 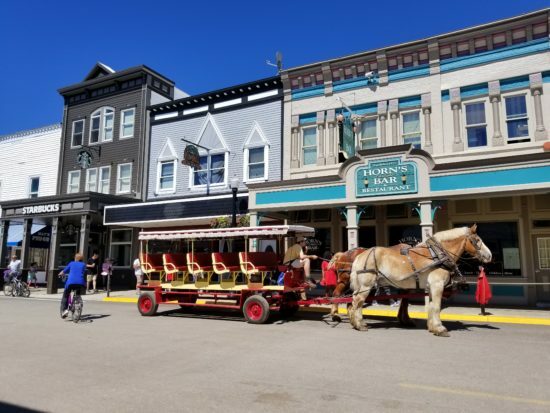 We took a private buggy livery tour of the island with Mackinac Island Carriage Tours, it truly was a memorable experience! *The welfare of the horses is top priority on the island and each horse has a strict number of working hours per day to maintain the well being of every horse. 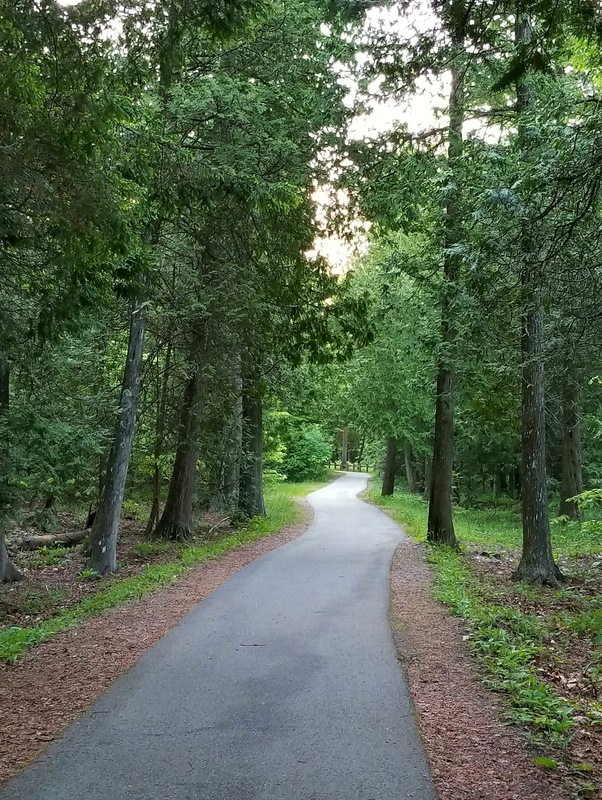 Explore Mackinac Island’s wooded trails on horseback. 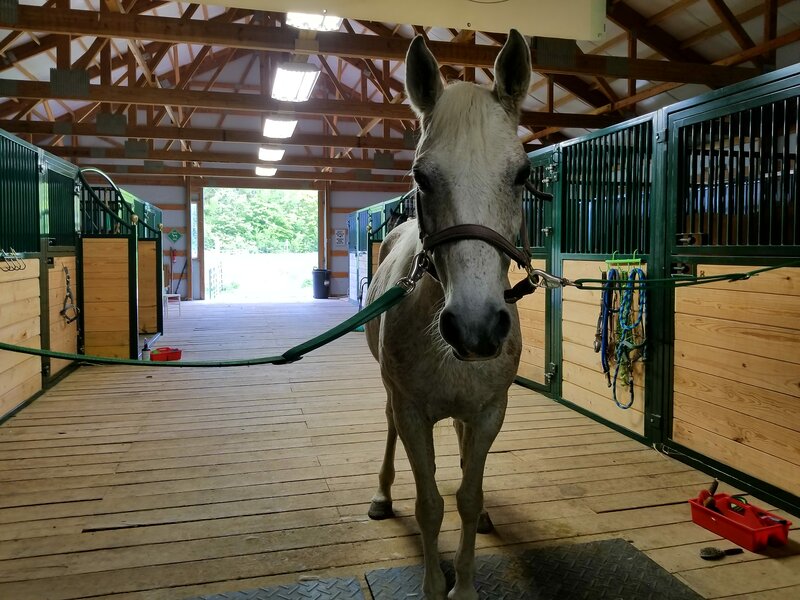 Guided and unguided trail riding is offered at Cindy’s Riding Stable. 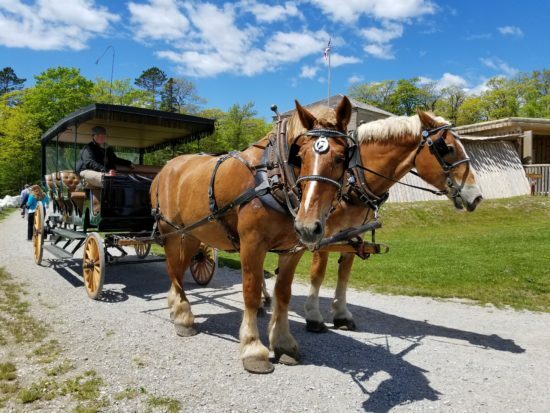 If looking for riding and carriage driving lessons, visit Mackinac Island Community Equestrian Center. 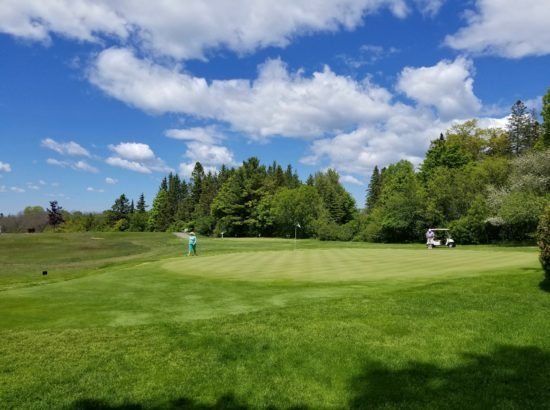 Golf lovers will be delighted to play a round on Michigan’s most historic golf course, Wawashkamo Golf Club. Although the golf course was constructed in 1898, the course was once the site of the ill-fated 1814 battle between the British and American forces. Wawashkamo’s first tee allows golfers to stand on the spot where British cannons roared on August 4, 1814. With 70+ miles of trails within the Mackinac Island State Park, a hiking adventure will lead you through wooded areas, along shorelines, by rock formations and gorgeous vistas with breathtaking views! 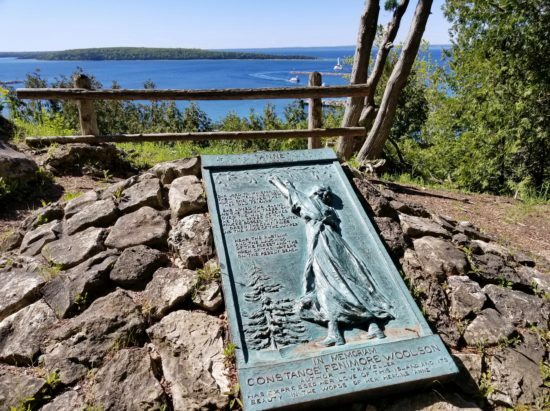 Nearby the Scout Barracks and Cass Monument, Anne’s Tablet is a quaint memorial to female traveler and novelist Constance Fenimore Woolson. 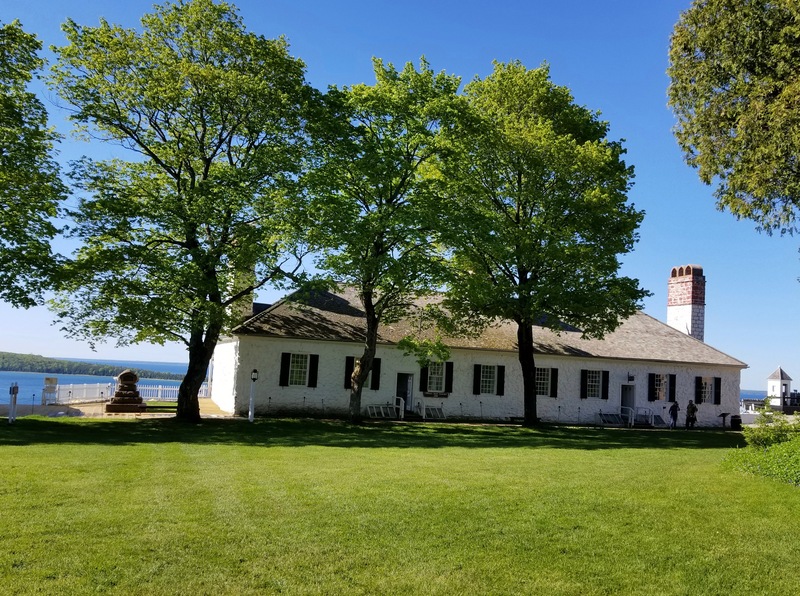 With lovely views overlooking the town and harbor, Anne’s Tablet is a nice spot for reflection. As one of the island’s most famous natural rock formations, Sugar Loaf rises 75-feet above the ground. Sugar Loaf also boasts as Mackinac Island’s largest limestone stacks. 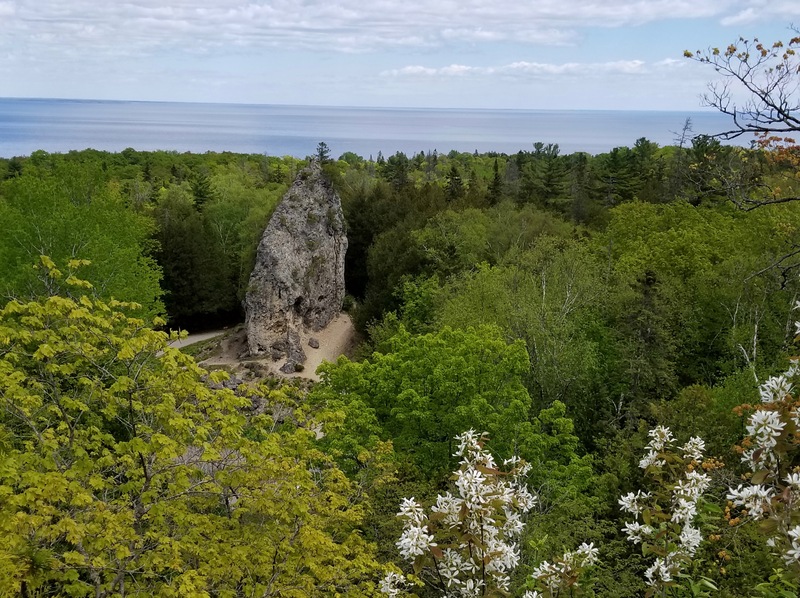 If standing on the bicycle trail north of Arch Rock, incredible vistas await, including views of Lake Huron and on a clear day, Les Cheneaux Islands. Rising 146-feet above the water, Arch Rock spans 50-feet at its widest point. 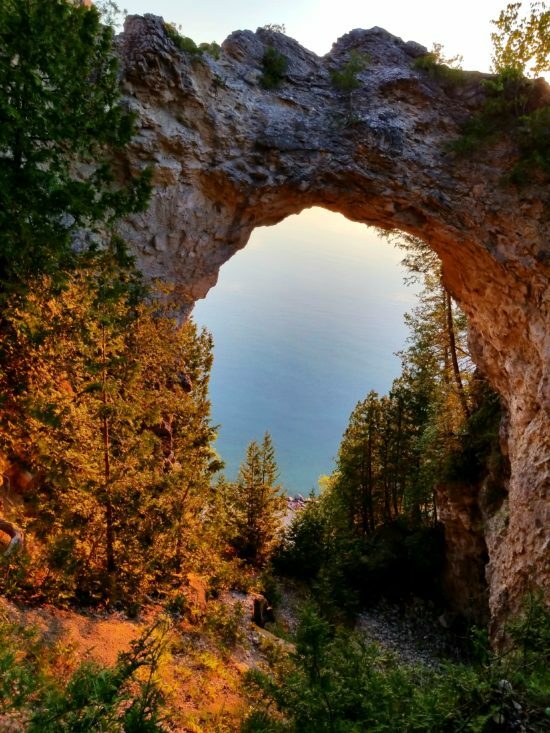 From Fort Mackinac and the Scout Barracks, a paved bicycle and pedestrian trail leads directly to Arch Rock. 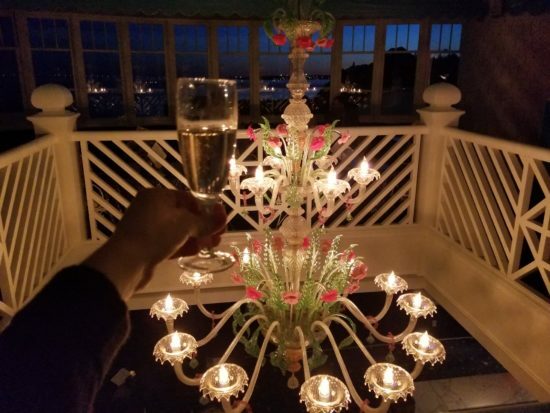 While visiting the rock is a must during your visit to the island, I would recommend going just before sunrise. 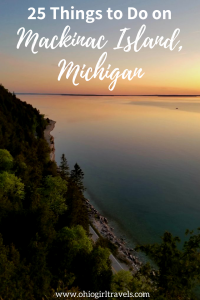 Spectacular colors rise from Lake Huron while Mother Nature provides a beautiful sunrise show that seems to be only shared with you and the boaters on the lake. 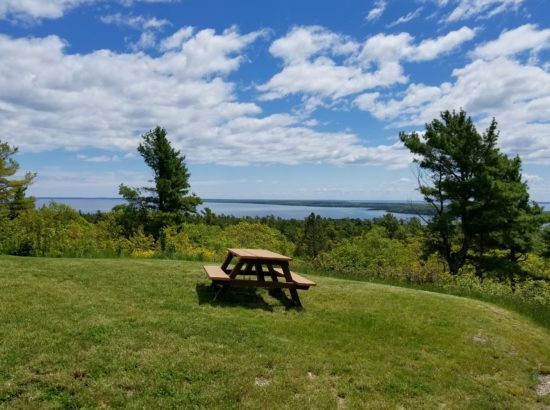 Whether taking a guided tour or renting a kayak to venture on your own, kayaks are a great way to gain a better perspective of the lake waters. With two locations (on the island and mainland in Mackinaw City), Great Turtle Kayak Tours provide guided kayak tours, rentals and Stand Up Paddleboards. 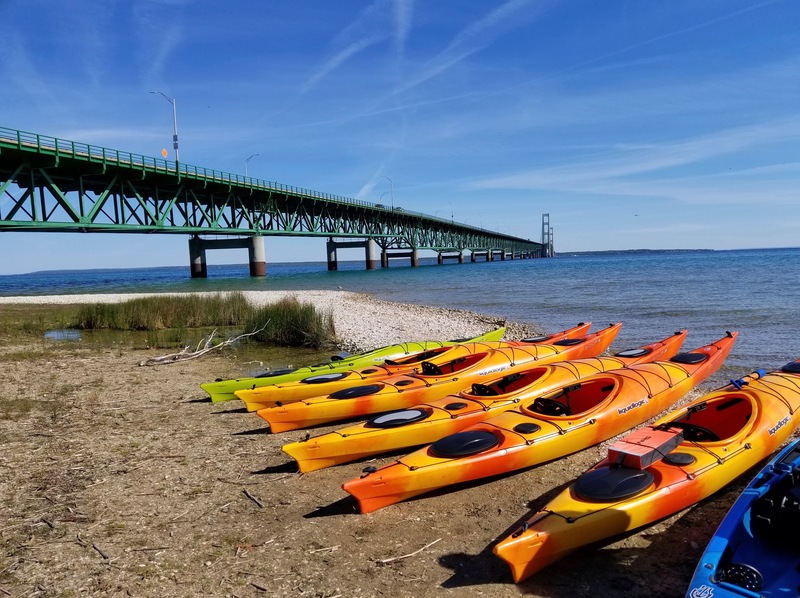 From the mainland location, kayakers can experience a Mackinac Bridge Tour. 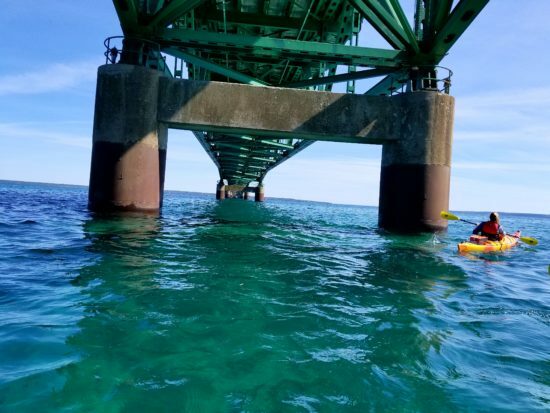 Paddling in the Straits of Mackinac, kayakers are treated to paddling in two bodies of crystal clear waters (Lake Huron and Lake Michigan) and paddle underneath the mighty Mackinac Bridge. It’s an incredible experience, even for novice kayakers like myself! 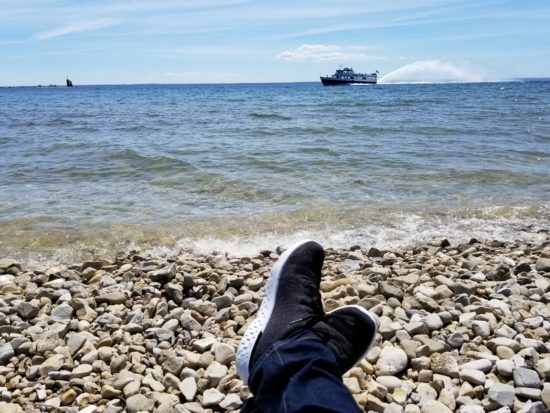 To me, there is nothing more relaxing than listening to the waves crash upon the shore. The rhythmic sound of the waves leads me into a relaxing trance. 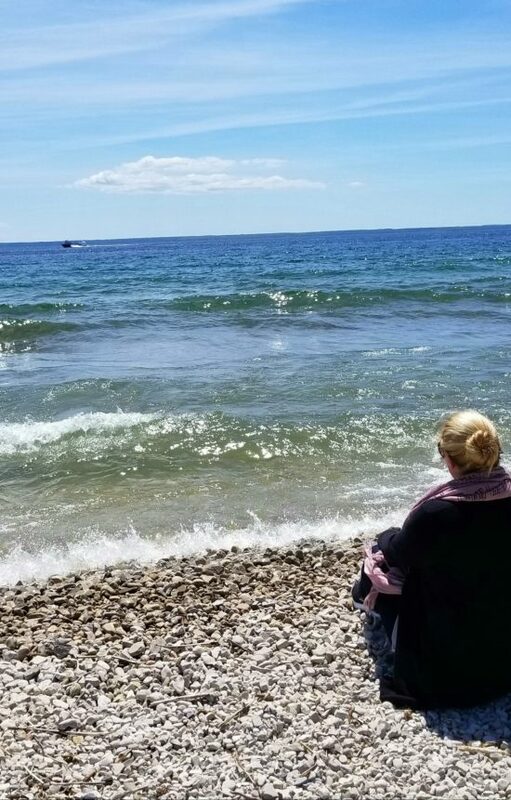 Whether sitting in a chair by the bay, a picnic table or on the pebbled shoreline, listening to the waves is a great way to relax and reflect. 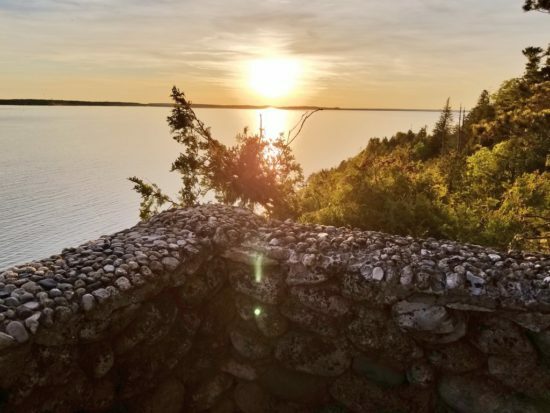 Catching the sunset anywhere on the island will surely be beautiful, but Sunset Rock at The Inn at Stonecliffe seems to be the best spot to watch the sun go down. Perched upon a bluff with breathtaking views of the Mackinac Bridge, mainland Michigan and the shoreline below, Sunset Rock is the perfect bluff to watch the golden rays slowly sink into the water. 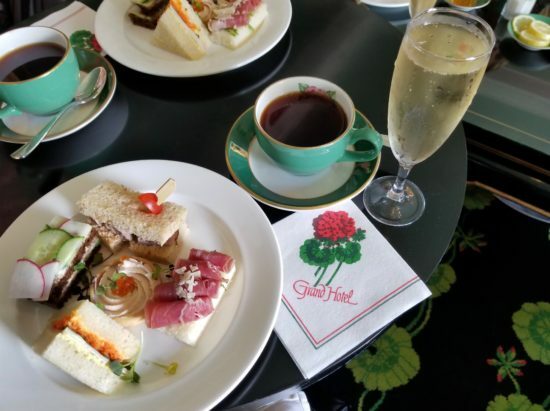 Afternoon Tea at the Grand Hotel has been a tradition for more than 100 years. Each afternoon, guests can sit in the hotel’s grand Parlor and enjoy a selection of tea, champagne, finger sandwiches, fresh baked goods and pastries while being serenaded by live soothing music. While there are plenty of options to enjoy a refreshing cocktail or a glass of wine on the island, the Cupola Bar at the top of the Grand Hotel sets the bar high (literally). 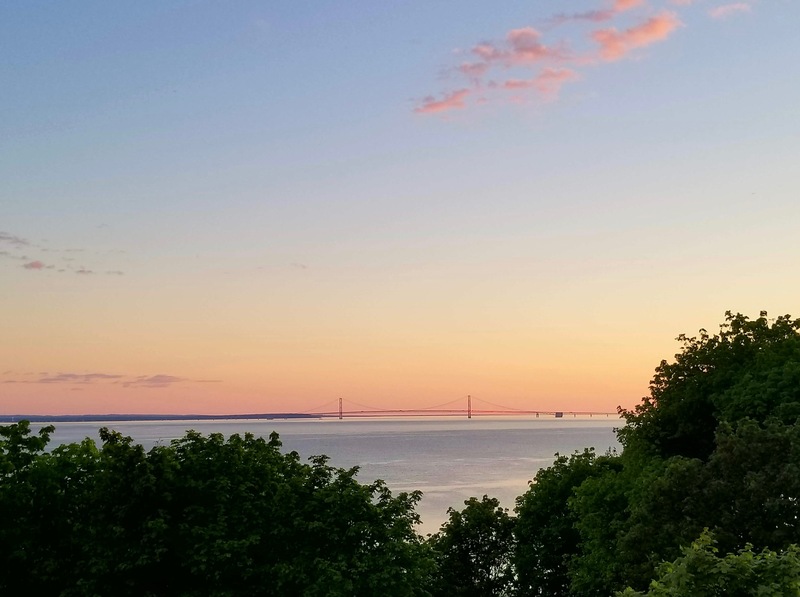 With panoramic views of the Straits of Mackinac and the Mackinac Bridge, toasting to a delightful day of exploring and watching the sunset as you sip on your favorite cocktail might just be the best ending to the perfect day on Mackinac Island. 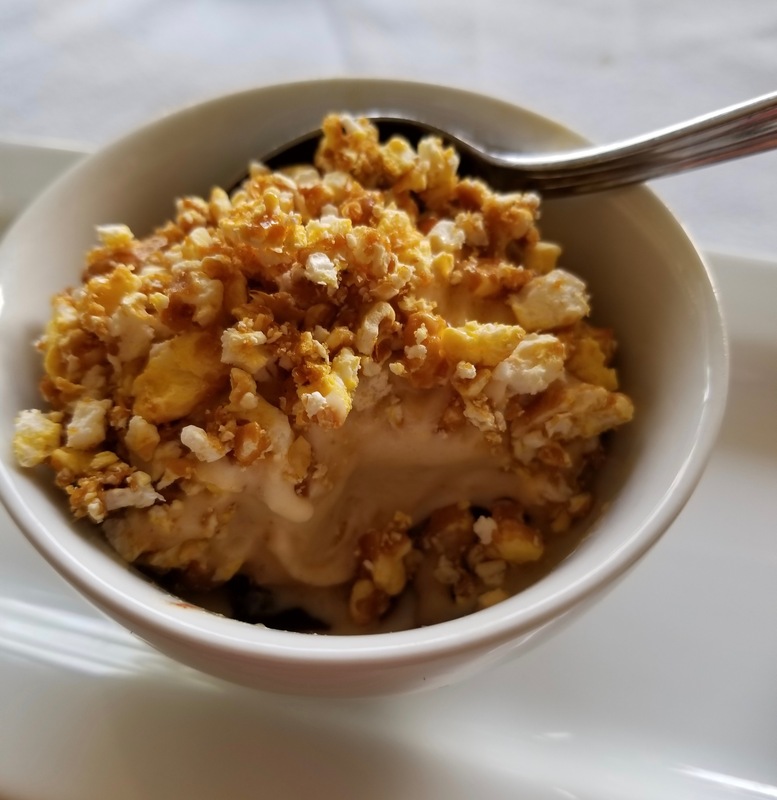 From burger joints, pizzerias, pub food, quaint eateries to upscale fine dining, the island’s culinary scene has something for every foodie. A few of my favorite restaurants on the island include Cudahy Chophouse, 1852 Grill Room, Chianti, Carriage House Restaurant and The Tea Room at Fort Mackinac. 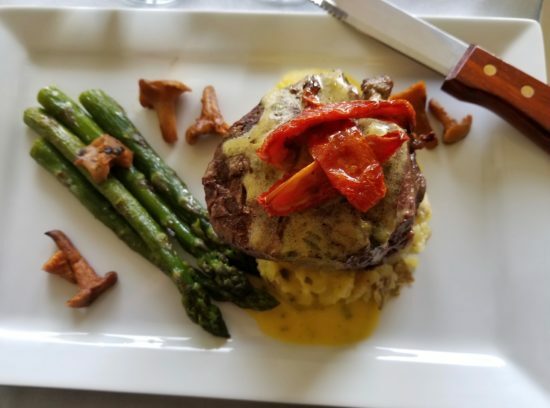 Click here for a complete Mackinac Island dining guide. 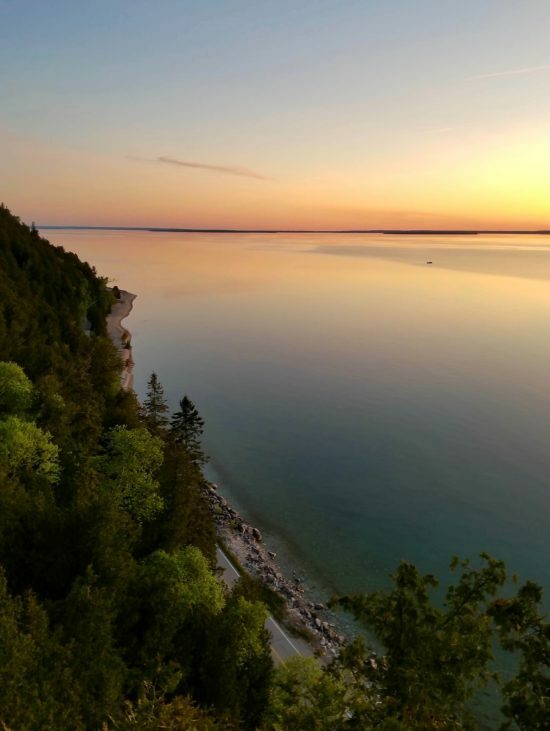 From breathtaking vistas, relaxing shoreline strolls, spectacular natural beauty and watching history come to life, you will be charmed by a weekend escape to Mackinac Island, Michigan! PIN IT BY CLICKING ON THE PIN BELOW! 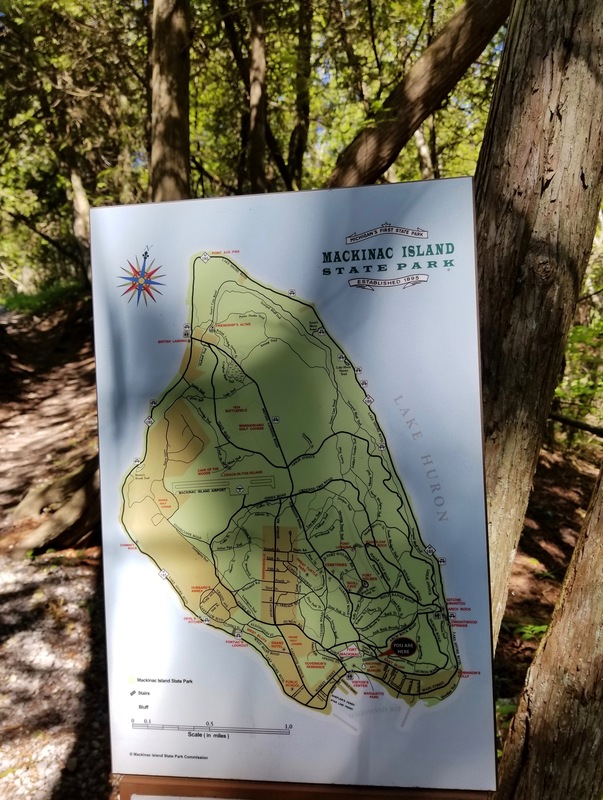 A special thanks to Mackinac State Historic Parks for an incredible first visit to Mackinac Island, Michigan! I was an invited guest of Mackinac State Historic Parks. 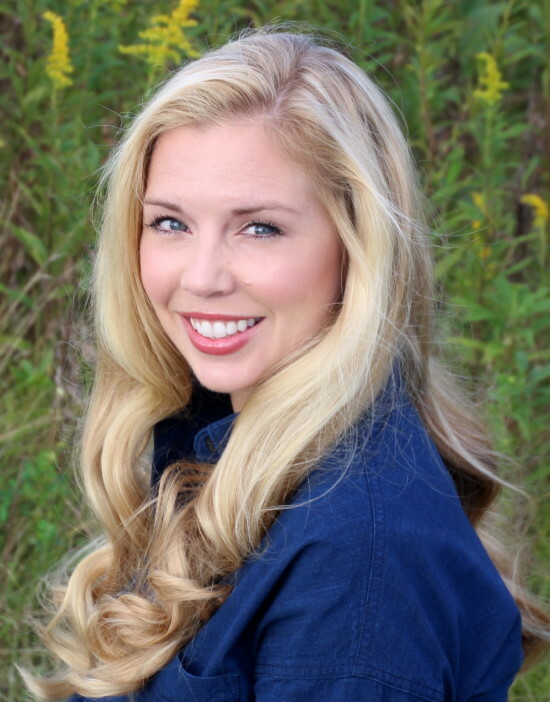 As always on Ohio Girl Travels, all opinions are my own.